While the greatest critic of my generation, Mr. Roger Ebert-- not only gave filmmaker Alex Proyas' most recent effort Knowing four stars but also stated that it was "among the best science-fiction films I've seen" as the Summit Entertainment press release proudly proclaims-- admittedly I was less than thrilled when I screened it in time for its March 20th release. Bolstered by the always charismatic charm of Nicolas Cage who can even make flawed films like Next, Kiss of Death or Snake Eyes watchable just by being the same Wild at Heart, Moonstruck Cage we remember along with the film's dynamite premise-- the movie had everything going for it until it suddenly took one of several wrong turns in the final hour to oddly giggle inducing faux New Age effect. 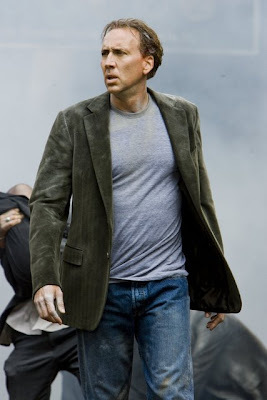 However, Proyas is a master showman and visually the film is stunning with its usage of the Red One Digital Camera that completely overwhelmed the senses with its unparalleled clarity along with the other standouts of his signature style and Marco Beltrami's underrated score (still one of the best of '09) which made it a feast for the senses indeed. While the technical aspects of the film given its Red One Camera naturally transfer superbly to Blu-ray to make the sights and sound of the impending apocalypse come alive and fans are sure to love the commentary with the director along with two making-of featurettes, I was stunned to realize how great of a loss of impact the movie had on the small screen. 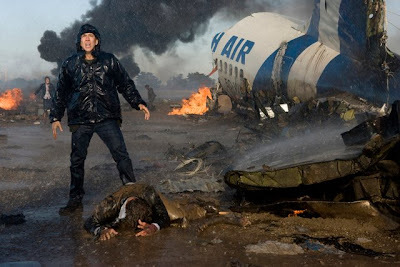 The film's most mesmerizing and intense set-pieces and action sequences involving a plane and a train (amidst a few automobiles naturally for good measure) didn't hold the same sense of overwhelm, heart-racing, palms-sweating, goose-bump inducing excitement of the theatre even in Summit's uniformly excellent high-definition transfer. For, even though I had problems with the way the movie itself structurally careened out of control and become so devoid of the science it pretended to be steeped in from the start-- at least in the theatre, I was still given a genuine thrill in two action sequences that were worth the price of admission alone so it's a shame to discover that even given the greatest technological presentation, in the end sadly "there's no there, there," to quote Gertrude Stein. 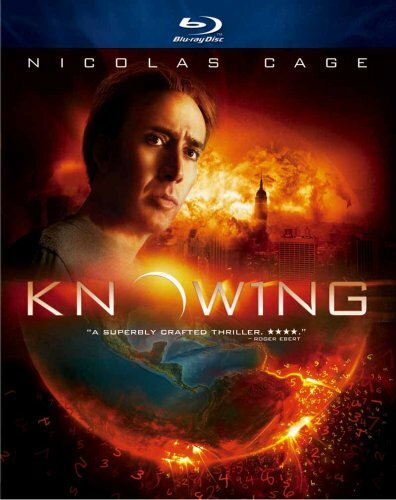 Yet, hopefully if you didn't have the experience with which to compare the theatrical screening of Knowing, you'll still get an ample kick out of the action in the film, before-- that is-- it goes from "knowing" to nonsense.